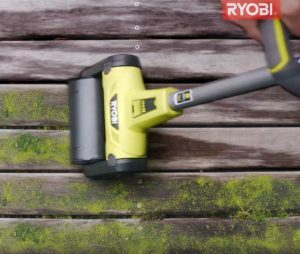 A new cordless Ryobi was spotted recently on Youtube in the UK based Ryobi TV channel and it’s the Ryobi 18V One+ Cordless Patio Cleaner. 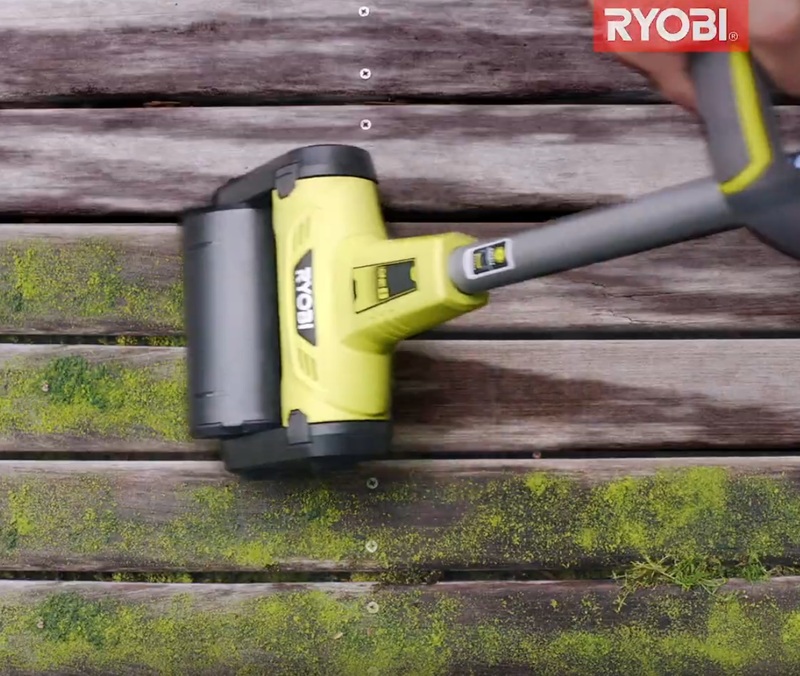 The Ryobi 18V One+ Cordless Patio Cleaner is a tool that just like it’s title says, it’s designed for cleaning outdoor floors. 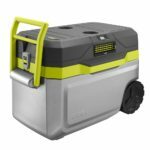 It does this by the use of scrubbing and includes two methods to scrub clean with a wire wheel and a plastic bristle drum wheel. 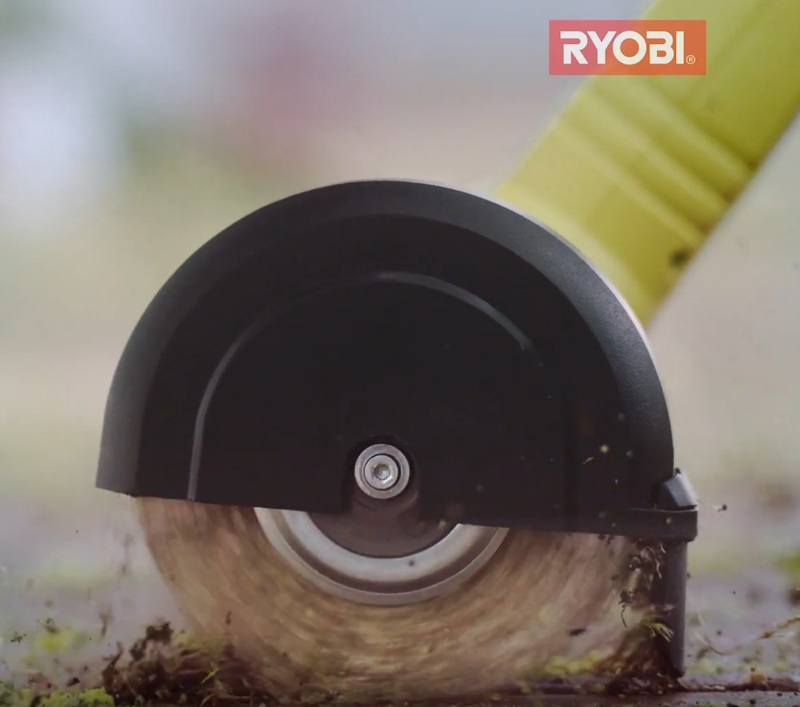 The wire wheel is good for removing unwanted grass and weeds between concrete slabs, stones and bricks. 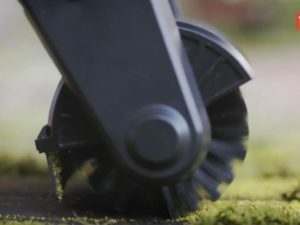 The plastic bristle drum wheel is wider and can cover more ground and looks to be designed for things like clearing moss from outside floors. As is, the unit can directly accept the wire wheel on it’s left side while the right side has a free spinning wheel to help the tool traverse the ground. Since the plastic bristle drum wheel is almost the length of the head, it requires an attachment to be used and extends the length of the unit somewhat. 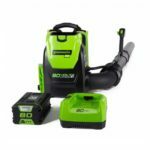 The rest of the unit looks much like Ryobi’s cordless string trimmers and cultivator units with a large second handle and it can also extend to accommodate taller and shorter users alike. A big thanks to Cody Robertson for spotting! We can expect this to launch in the UK sometime soon in the near future. No word on if or when it will be released in the USA. 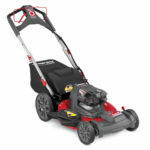 What do you guys think of this new tool? Is it something you guys would use or not? 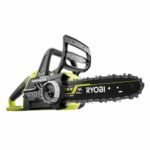 Australia Ryobi again, they have a few of the outdoor power one+ tools that have still not shown up in the US. 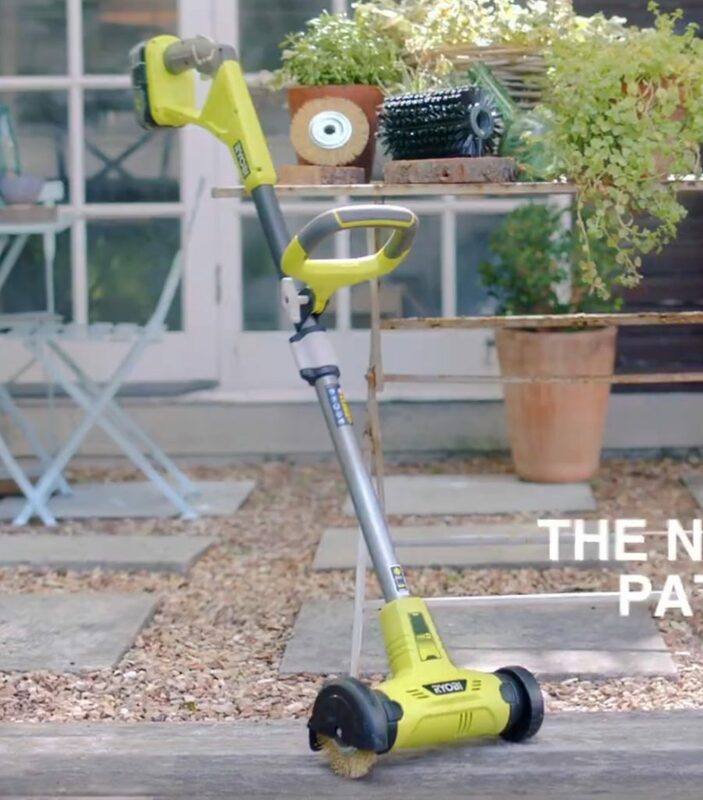 I like the patio cleaner and I might even have some uses for it, I just wonder if we will ever see it in the US.